Nowata Publishing Company was established in 1977, specializing in newspapers, shoppers and insert work. 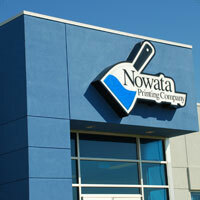 In 1987, the company name was changed to Nowata Printing Company to reflect the growing number of services offered. Missouri Color Web was established in Bolivar, Missouri, in 1983 as a joint venture between the Bolivar Herald-Free Press and Sterling Media. In February 1999, Missouri Color Web was purchased by Community Publishers, Inc. To serve the needs of its growing number of newspapers, a new Goss Magnum coldset press was installed in 2001. The Nowata Printing site in Harrison, Arkansas, began as a printing facility for the Harrison Daily Times. 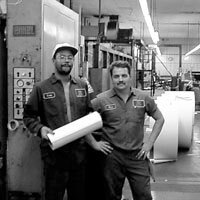 In 1972, 5 units of Goss Community press were installed. Over the years, the press has been rebuilt and expanded to 14 units to offer increased color capacity for its customers. Community Publishers Inc. purchased the Harrison Daily Times and the printing plant in 2000, and created Ozarks Printing, LLC as a managed subsidiary to offer printing for local newspapers it owned and those owned by other publishers. In January 2007, Community Publishers Inc. purchased Nowata Printing Company, merging that company with their Missouri Color Web operation at Springfield and the publishing facility in Harrison, Arkansas. Community Publishers consolidated all their existing commercial printing operations under the name of Nowata Printing Company to emphasize their commitment to commercial printing - one company with three locations to handle all of your printing needs. In early 2015, Community Publishers, Inc. sold all of the Nowata Printing assets and interests in Ozarks Printing, LLC to Phillips Capital Partners, a Florida Corporation, which rolled the printing operations into part of its Phillips Media Group.